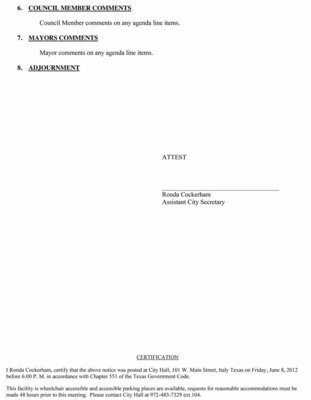 Along with department reports, the agenda slates two regular agenda items for consideration by the board. 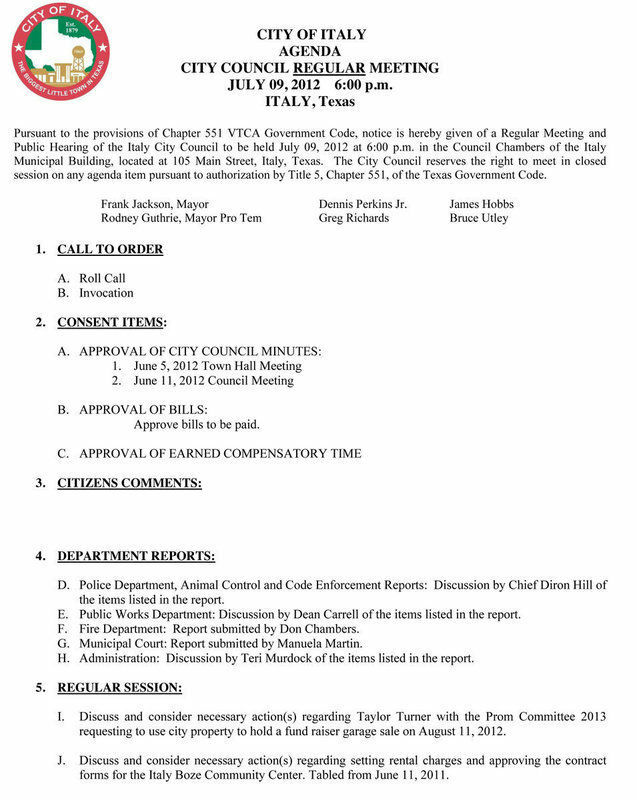 Discuss and consider necessary action(s) regarding Taylor Turner with the Prom Committee 2013 requesting to use city property to hold a fund raiser garage sale on August 11, 2012. Discuss and consider necessary action(s) regarding setting rental charges and approving the contract forms for the Italy Boze Community Center. Tabled from June 11, 2011.